The central bank seems set on bashing speculators betting on a stronger yuan, without changing the currency’s long-term appeal. The trick is to target low volatility that fuels trades. But it’s a fine balancing act – and risks rewarding those who were betting on a China downturn. A woman counts Chinese yuan notes at a market in Beijing, July 1, 2013. China’s central bank set the midpoint of the yuan at 6.122 to the U.S. dollar on Feb. 27, slightly weaker than the previous day’s midpoint of 6.119. The currency closed at 6.123 yuan to the dollar on Feb. 26, equivalent to a 1 percent weakening since the beginning of the previous week. The People’s Bank of China was quoted by state media on Feb. 26 as saying that liquidity levels in the Chinese financial system were “generally appropriate”. The foreign exchange regulator said in a statement that the drop in the currency was “normal”. 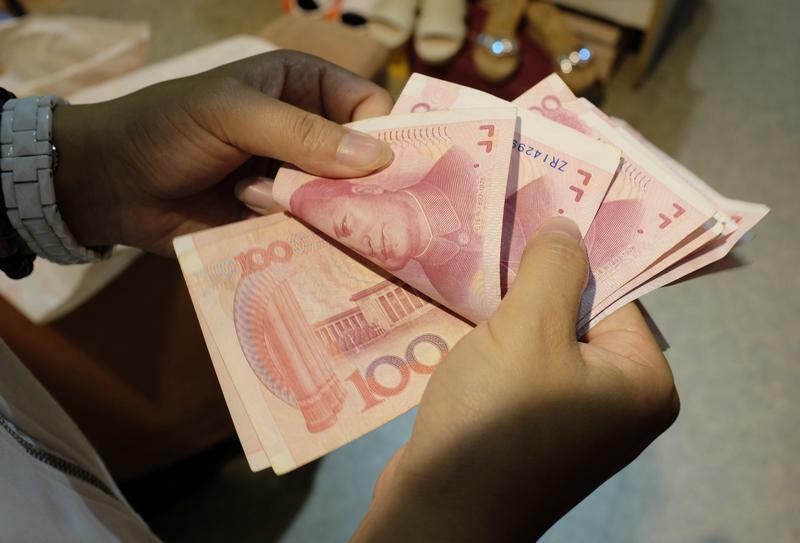 China’s central bank was set to drain a net 160 billion yuan from the market in the week ending Feb. 28, following a net removal of 108 billion yuan the previous week.